This article is about the actor. For the businessman, see Douglas Hodge (businessman). Douglas Hodge (born 25 February 1960) is an English actor, director, and musician who trained for the stage at the Royal Academy of Dramatic Art. Hodge is a council member of the National Youth Theatre for whom, in 1989, he co-wrote Pacha Mama's Blessing about the Amazon rain forests staged at the Almeida Theatre. Hodge has achieved success on stage in plays by Harold Pinter, including No Man's Land at the Comedy Theatre in February 1993; Moonlight at the Almeida Theatre in September 1993; A Kind of Alaska, The Lover and The Collection at the Donmar Warehouse in May 1998; as Jerry in Betrayal at the Royal National Theatre's Lyttelton Theatre, in November 1998; and as Aston in The Caretaker at the Comedy Theatre in November 2000, co-starring Michael Gambon (Davies) and Rupert Graves (Mick), directed by Patrick Marber – for which he was nominated for an Olivier Award. Hodge admired Pinter and has spoken and written very highly of the man and his work, and offered himself as a "birthday present" on his 70th birthday, among many other things offering "My own complete friendship, loyalty and thanks. Manners, civility, celerity, precision, class and clarity." As his directorial debut at the Oxford Playhouse in 2004 Hodge chose a double bill of The Dumb Waiter and Other Pieces (the 1957 one-act play plus six of Pinter's sketches). In 2015, Hodge made his debut as a Broadway director, helming a revival of Pinter's 1971 play Old Times. The production starred Clive Owen, Eve Best and Kelly Reilly. It opened at the American Airlines Theatre. For the National Theatre in May 1994 Hodge played the title role in Phyllida Lloyd's Olivier Theatre staging of Shakespeare's Pericles; and Al' in Stephen Poliakoff's Blinded by the Sun directed by Ron Daniels at the Cottesloe Theatre in May 1997. He played Leontes in an RSC revival of The Winter's Tale at the Roundhouse in April 2002. Directed by Matthew Warchus, it was moved in a world of 'film noir' and country music, a version of the Shakespeare play originally planned for American production. "Shaven-headed Hodge, a tyrannical Leontes chopping up the verse into tiny spiteful pieces, is a dead-ringer for Orson Welles, bald and fuming, in the penultimate reel of Citizen Kane – even when he comes on in flat cap and plus-fours as a Chicago heavy, dressed for a round of golf." In April 2003 he portrayed Andrei in Michael Blakemore's revival of Chekhov's Three Sisters at the Playhouse Theatre. The following year he made his Royal Court debut as Barry in Joe Penhall's study of entrapment journalism Dumb Show, directed by Terry Johnson, which opened in September 2004 to positive reviews, particularly for Hodge's performance as a television comedian whose career is on the skids. Hodge appeared in the 2005 revival of Guys and Dolls at the Piccadilly Theatre playing Nathan Detroit opposite Ewan McGregor playing Sky Masterson. He received an Olivier Award nomination for his performance. During the summer of 2006, he took the title role in a bloodstained revival of Titus Andronicus, at Shakespeare's Globe. Simultaneously he was also making his West End directorial debut with See How They Run, a 1940s wartime farce by Philip King, preceded by a successful UK tour. 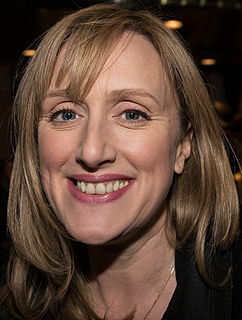 When his production opened in the West End Nancy Carroll took over from Hattie Morahan in the role of the vicar's young wife. In May 2007 he revealed a fine lyric tenor voice as Frank, the neurosurgeon in A Matter of Life and Death with the Kneehigh Theatre company at the National Theatre, a spectacular production with music, based on events in the movie of the same name. Also in 2007 he guest starred in the Doctor Who audio dramas Urban Myths and Son of the Dragon. In 2008, Hodge starred as Albin in the hugely acclaimed London revival of La Cage aux Folles which played originally at the Menier Chocolate Factory. He later reprised this role at the Playhouse Theatre in the West End to great critical acclaim and won the 2009 Olivier Award for Best Actor in a Musical. The London production transferred to Broadway, opening on 18 April 2010 at the Longacre Theatre, with Hodge and Kelsey Grammer as Albin and Georges, respectively. Hodge won the 2010 Tony Award for Best Performance by a Leading Actor in a Musical for his performance. A 2011 revival of John Osborne's Inadmissible Evidence at the Donmar Theatre, London, offered Hodge another challenging role, as Maitland, the lawyer in crisis. Critics were unanimous in praise of Hodge's portrayal, "a great actor doing complete justice to a dark masterpiece", but some found Osborne's characterisation overdrawn and unrealistic, a flaw that Hodge's "enormous" performance could not redeem. Hodge received an Olivier Award nomination for his performance. In 2012, Hodge headed back to Broadway when he starred as Cyrano de Bergerac in the Roundabout Theatre Company's revival of Cyrano de Bergerac which played a limited engagement at the American Airlines Theatre from 14 September 2012 – 25 November 2012. In October 2012, it was announced that Hodge had been cast as Willy Wonka in the new musical Charlie and the Chocolate Factory the Musical on the West End, which previewed on 18 May 2013 and opened on 25 June 2013 at the Theatre Royal, Drury Lane London. Hodge wrote a musical with Aschlin Ditta, temporarily called Meantime. Josefina Gabrielle, Denis Lawson and several others participated in a cast recording, and actors including Rory Kinnear, Indira Varma and Cillian Murphy participated in a reading of the book. Hodge was commissioned to write a new musical for The Stable, a UK-based musical theatre company dedicated to bringing new works to the stage. He has parallel careers as a writer, director and composer, most recently directing Torch Song Trilogy at the Menier Chocolate Factory in 2012. He was Associate Director at the Donmar Theatre directing Dimetos in 2009, Absurdia in 2007, and running numerous readings and workshops for new and classic work. He directed the world premiere of Last Easter by Bryony Lavery at Birmingham Rep, and See How They Run which went straight to the West End after a sell-out tour. Olivier Awards include 2012 Best Actor for Inadmissible Evidence (nomination), 2009 Best Actor in a Musical for La Cage aux Folles (winner), and 2006 Best Actor in a Musical for Guys and Dolls (nomination). He was also nominated for Best Actor in the 2005 Evening Standard Awards for his role in Dumbshow at the Royal Court. Douglas starred as Albin in the Broadway transfer of La Cage aux Folles, for which his performance won him a Tony Award for Best Actor in a Musical, a Drama Desk Award for Outstanding Actor in a Musical, and an Outer Critics Circle Award for Outstanding Actor in a Musical. He originally played the role in London in 2008 at the Menier Chocolate Factory and then at the Playhouse Theatre in the West End. With Peter Searles he co-wrote Pacha Mama's Blessing and Forest People, about the Amazon Rainforest, performed by the National Youth Theatre on BBC Television in 1989. Hodge received critical and popular acclaim in 1994 as Dr. Tertius Lydgate in the BBC's award-winning production Middlemarch, adapted by Andrew Davies from the novel by George Eliot and directed by Anthony Page. In the US it aired on Masterpiece Theatre in 1994. His other TV appearances include leading roles in Behaving Badly (1989); Capital City (1989–1990); A Fatal Inversion (1992); Bliss (1995); Only Fools and Horses (1996) The Uninvited (1997); The Scold's Bridle (1998); Shockers: Dance (1999); The Law (2000); the BBC serial adaptation of Trollope's The Way We Live Now (2001), as Roger Carbury; The Russian Bride (2001); Red Cap (2003–2004); Spooks (2005); ITV's 2007 adaptation of Mansfield Park, as Sir Thomas Bertram; and the made-for-TV film Lift, directed by James Hawes, a 2007 Hartswood Films production for BBC Four, as Paul Sykes, "a constantly exasperated, highly-strung middle-aged businessman with commitments.". In 2010, he appeared in the episode "The Restaurant" of the third series of the popular BBC sitcom Outnumbered as Brick Bolenger, an American therapist who is married to Auntie Angela (played by Samantha Bond). The character is involved in a story line of the fourth series in 2011, but never appears on screen. In 2012, Hodge had a prominent role in BBC drama One Night, he appeared in the conspiracy thriller miniseries Secret State, and the ITV-1 drama The Town. In 2016 he featured as Rex Mayhew in the BBC adaptation of John le Carre's The Night Manager. In 2017, he appeared in "Black Museum", an episode of the anthology series Black Mirror. He appeared as Inspector Bartholomew Rusk in the series Penny Dreadful. He made his cinematic directorial debut with a short film of Harold Pinter's dramatic sketch Victoria Station. As Doug Hodge, has released two albums of his own compositions: "Cowley Road Songs" in 2005, and "Nightbus" in 2009. He won the Stiles and Drewe 2012 Best New Song Award for his song 'Powercut' from "Meantime", the musical he co-wrote with Aschlin Ditta. Hodge was born in Plymouth, Devon. Until 2013 he was in a relationship with actress Tessa Peake-Jones, with whom he has two children. ^ "Only Fools And Horses actors Tessa Peake-Jones and Douglas Hodge split". 6 February 2013. ^ "Theatre Record – The chronicle of the British Stage listing ALL reviews of Theatre performance in London and the Regions". theatrerecord.org. ^ "Review Round-up: Hodge Receives Judgement at Donmar". Whats on stage. 20 October 2011. Retrieved 27 October 2011. ^ "Cyrano de Bergerac". Roundabout Theatre Company. Retrieved 17 June 2013. ^ "Willy Wonka cast in Sam Mendes musical". BBC. 11 October 2012. Retrieved 17 June 2013. ^ "High notes". The Sunday Times. ^ "Tony Winner Douglas Hodge to Direct Torch Song Trilogy at Menier; Merrily We Roll Along & More on Tap". broadway.com. ^ "Dimetos, with Jonathan Pryce, Begins Donmar Run March 19". Playbill. ^ "London's Donmar Announces Absurdia Cast". Playbill. ^ "The week in theatre: Last Easter, Birmingham Rep – Jenufa, Arcola, London E8". The Guardian. ^ "Wartime Favorite See How They Run to Return to the West End". Playbill. ^ Mark Brown. "La Cage aux Folles steals the spotlight at theatre's Olivier nominations". The Guardian. ^ "2006 Laurence Olivier Nominations Announced; Billy Elliot Leads Pack with Nine Nominations". Playbill. ^ "No dumb actor: Douglas Hodge has been nominated for Best Actor for his role". London Evening Standard. ^ "Broadway Newcomer Douglas Hodge Takes Home Tony for La Cage aux Folles". Broadway.com. ^ BWW News Desk. "Hodge Wins Drama Desk Award for Best Actor in a Musical for LA CAGE!". BroadwayWorld.com. ^ "Memphis, La Cage, Zeta-Jones, Finneran and More Are Outer Critics Circle Award Winners". Playbill. ^ "Menier La Cage Opens at West End's Playhouse Theatre Oct. 30". Playbill. ^ "Drama – Red Cap". BBC. Retrieved 17 June 2013. ^ Haring, Bruce (25 August 2017). "'Black Mirror': Season 4 Cast & Episode Info, Teaser Trailer Released By Netflix". Deadline. Retrieved 25 August 2017. ^ "Patti LuPone and Douglas Hodge join Penny Dreadful season 2". Digital Spy. ^ "Douglas Hodge – Cast Biography". Scenes of a Sexual Nature. 'Tinpan films. 2006. Archived from the original on 5 July 2008. Retrieved 28 June 2008. ^ "New Princess Diana movie features iconic Sunday Mirror front page". Daily Mirror. 15 June 2013. Retrieved 17 June 2013. ^ "Amazon.com: Cowley Road Songs: Doug Hodge: MP3 Downloads". Amazon.com. ^ "Amazon.com: Douglas Hodge: Night Bus: Music". Amazon.com. ^ "HugeDomains.com – DougHodge.com is for Sale (Doug Hodge)". doughodge.com. ^ Who's Who. A & C Black. December 2011. La Cage aux Folles is a musical with a book by Harvey Fierstein and lyrics and music by Jerry Herman. Based on the 1973 French play of the same name by Jean Poiret, it focuses on a gay couple: Georges, the manager of a Saint-Tropez nightclub featuring drag entertainment, and Albin, his romantic partner and star attraction, and the farcical adventures that ensue when Georges's son, Jean-Michel, brings home his fiancée's ultra-conservative parents to meet them. La cage aux folles literally means "the cage of mad women". However, folles is also a slang term for effeminate homosexuals (queens). 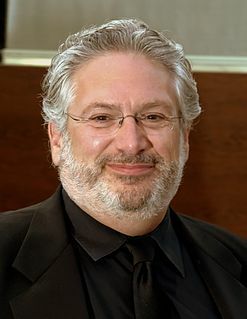 Stewart F. Lane is a Broadway producer, director, playwright and former actor. He has also written books, including Let's Put on a Show! and Jews of Broadway. He has also produced in Dublin. In addition to publishing two plays, he has directed across the country, working with Stephen Baldwin, Shannen Doherty, Chazz Palminteri, and more. He is co-owner of the Palace Theatre (Broadway) with the Nederlander Organization and a partner in the Tribeca Grill with Robert De Niro. Robin de Jesús is an American film and theater actor of Puerto Rican descent. He is from Norwalk, Connecticut. Jamie Hendry is a British theatre executive and West End producer.